So, imagine my happiness when I found that Ioulia shared on FB (and she makes her own cashmere, too!!!!) 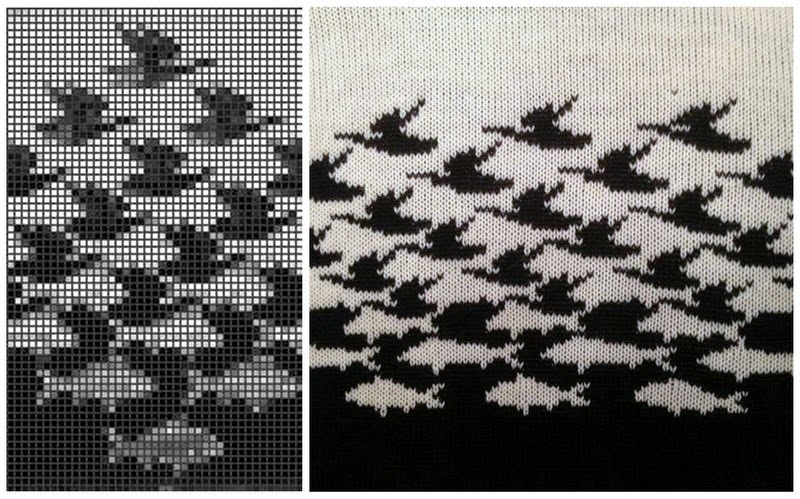 the way she transformed the image into a knitted pattern: pixelating the image and then adjusting the pattern to be on a 24 stitch repetition! I made a swatch with the jacquard stitch for a sweater I want to make, but the only problem with this punchcard is the long floats on the back. 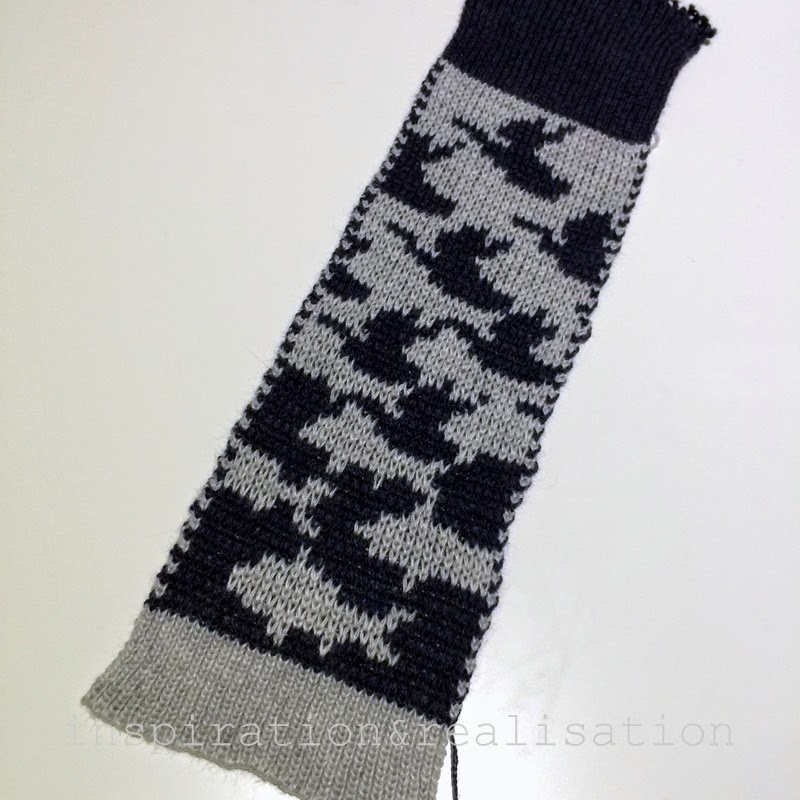 the pattern for the single jacquard can be handknitted as well. I punched the double jacquard card, and this was my first attempt to it: I knitted until the last row, alternating the two colors every two rows. By knitting all the way up there is that UGLY black line that really breaks up the motif. I ended up rip it up and knitting the last few rows by hand and then bind off with the needle. 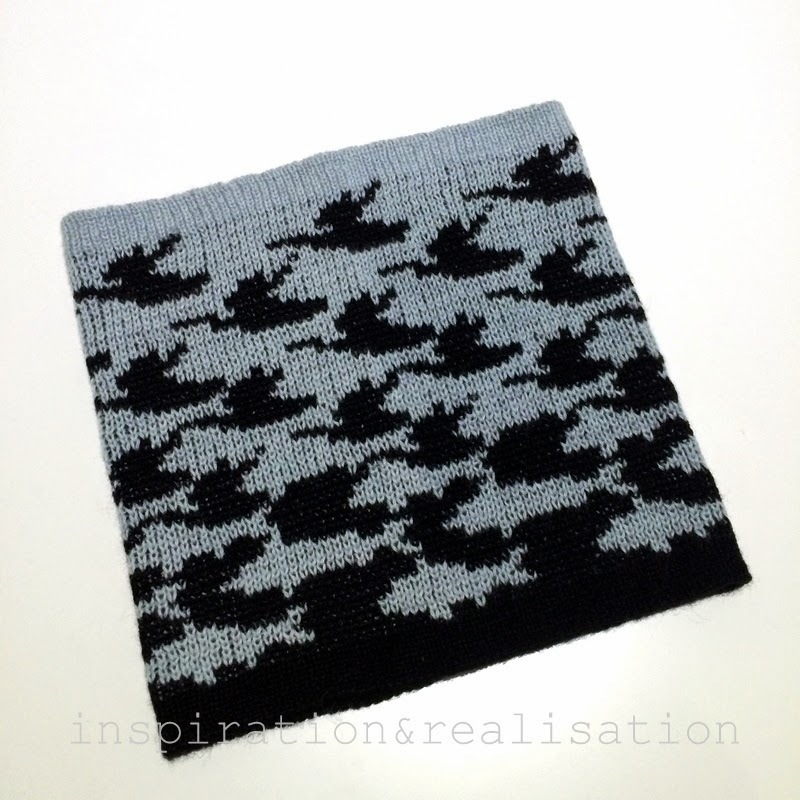 And I turned the sample into a neck warmer - which became a "Christmas in May" sort of present for my friend. She won't wear it right away, but I know she will love it in winter. 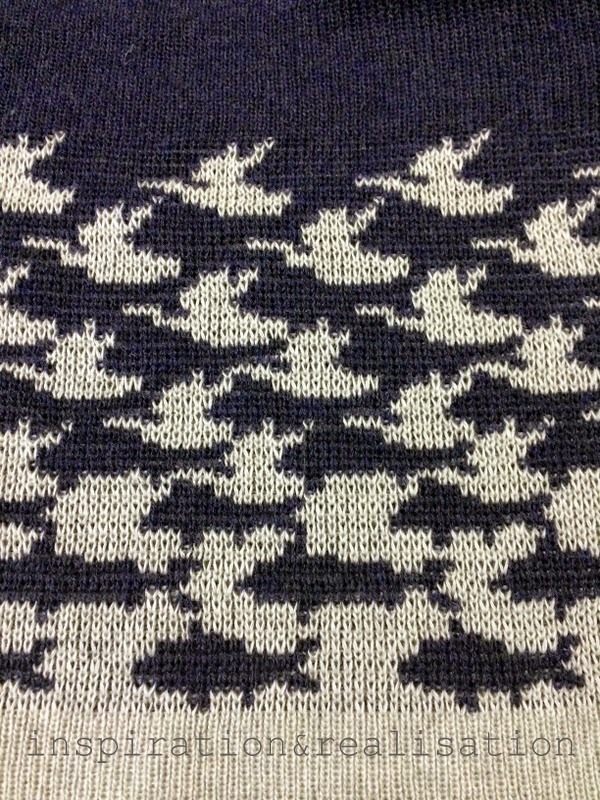 The whole thing is knitted in a two strands of 2/28 cashmere - so soft and warm! I'm using my Brother KH860 with ribber and colorchanger . at the desired length - carriage on the left side - turn the knob of the carriage in KC position and set the card lock lever at "●" - move the carriages to the right. Set the card lock lever at "▼ " and then push both PART buttons at the same time. Move the carriages to the left until you hear the "click" and change to color #2. 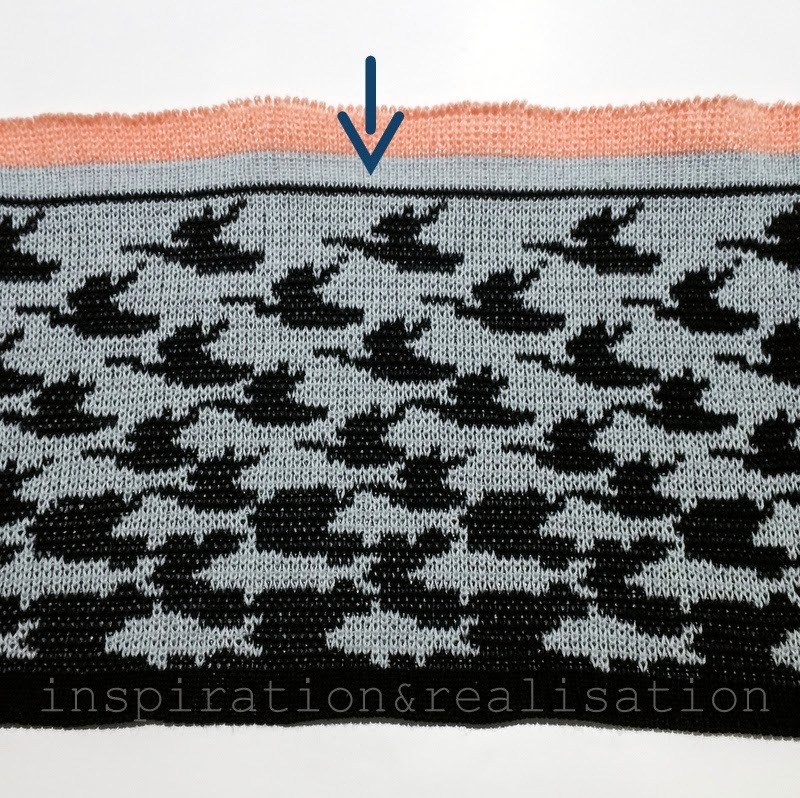 Change the colors every two rows and when you get to the end of the punchcard - pay attention and knit until THE ROW BEFORE LAST. This will get you to the last knitted row with the color #2 in your yarn feeder, and you can keep knitting with the darker color. And here is a swatch sample made by changing to color #2 at the moment of changing the carriage knob on KC position - while the punchcard is still in ● position, and knit the whole punchcard until the last row - changing color every two rows. 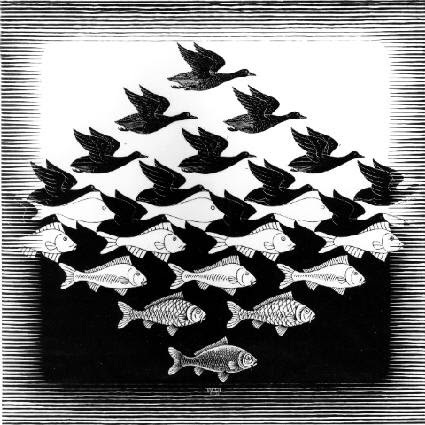 This method will break the flow of the colors, creating a negative effect of the pattern. Soon enough, you'll see what I'm making with it! Fantástico.. gracias por el diseño de la tarjeta y la explicación. WOW!! That is so impressive, great job! Makes me wish I could knit! !